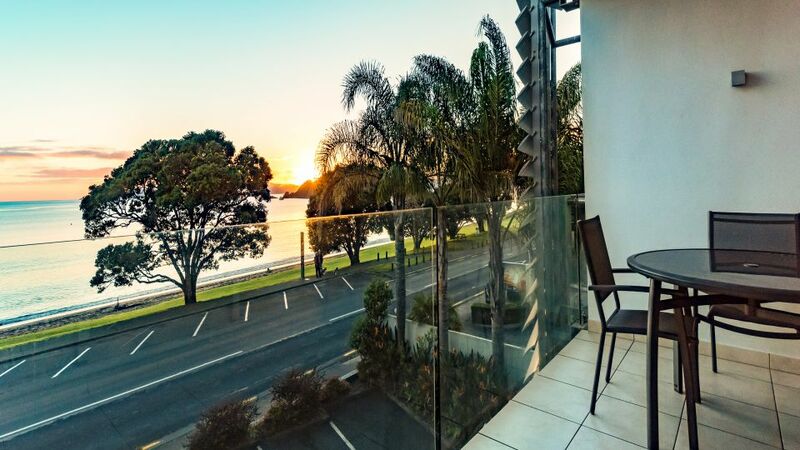 Directly across the road is the beautiful Te Ti Beach, exploring Paihia’s beautiful waters and wildlife is only a short step away. For guests interested in experiencing and exploring New Zealand’s heritage, The Waitangi Treaty House is located only 1-km away. Heritage Collection Sea Spray Suites offers one bedroom and two bedroom suites, each suite is fitted with air conditioning and a balcony or semi-private patio for great indoor- outdoor flow. 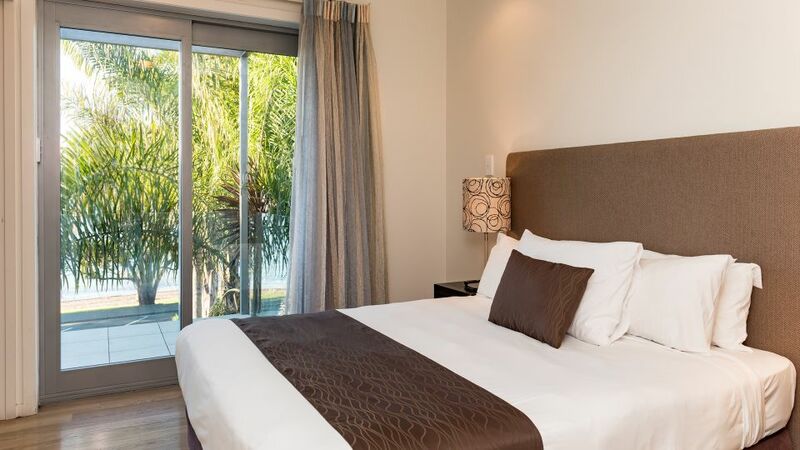 The suites also include complimentary 3GB WiFi, SkyTV, ironing facilities and full kitchen facilities. Sea Spray Suites offers comfortable and relaxing accommodation close to Paihia’s best activities and attractions. 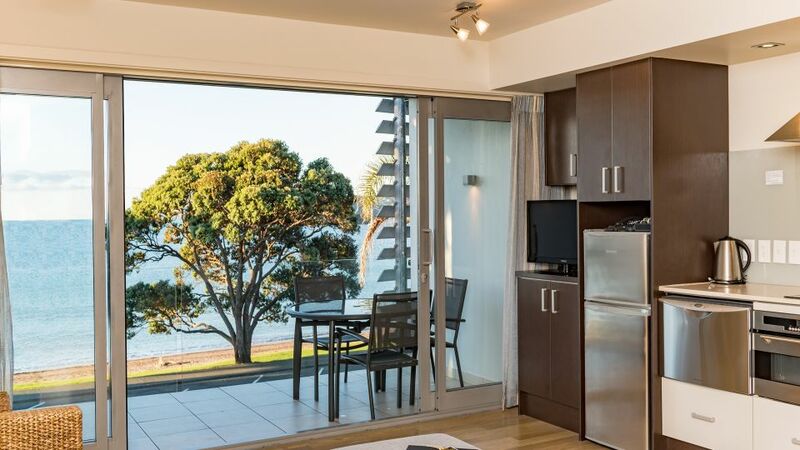 For your Bay of Islands holiday, the Sea Spray Suites offer a collection of the most desired sea-view* suites, self-contained accommodation in Paihia. Facilities include air conditioning, full-size fridge/freezer, SKY TV channels, balcony or courtyard, complimentary WiFi and parking included. One of the country’s favourite holiday spots, New Zealand’s Bay of Islands is acclaimed worldwide for being an area of exceptional natural beauty and the ideal destination to relax and unwind a world away from the cares of the world. Retreat from modern pressures and relax in your open plan lounge and kitchen. The suites are fully air-conditioned with choice of sea view balcony or private patio/courtyard and equipped with modern amenities.